Former New England Patriots player Aaron Hernandez has been found not guilty of a 2012 drive-by shooting that left two men dead. The jury on Friday also acquitted the Pro Bowl NFL tight end of witness intimidation, but found him guilty and sentenced him to four years for carrying an unlawful weapon, according to the New York Times. 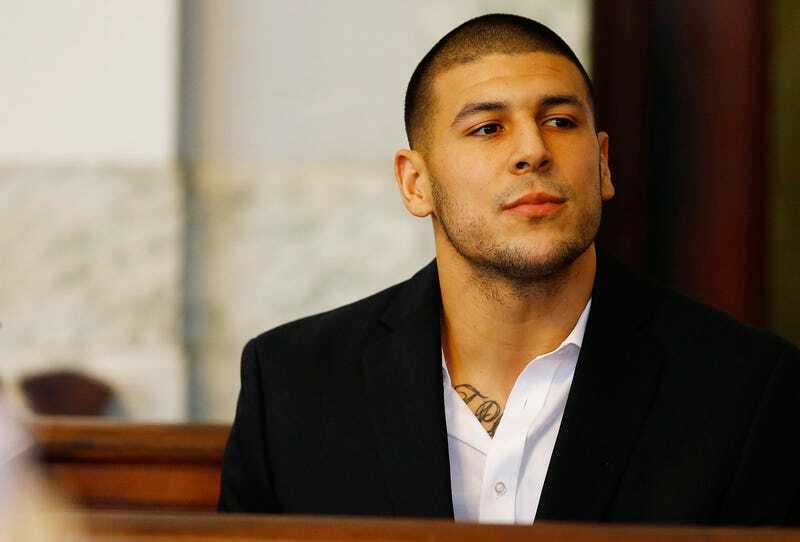 Hernandez was accused of murdering Daniel de Abreu and Safiro Furtado after one of the men bumped into him at a club, but Hernandez’s attorneys put forth the hypothesis that the football star’s former friend Alexander Bradley committed the double homicide. Seven months later, someone—who was apparently not Hernandez—shot Bradley. Prosecutors argued that Hernandez wanted to stop Bradley from testifying, but a jury did not find him guilty on the charge of witness intimidation. Although Hernandez was only convicted of carrying a gun—a .38 revolver, which, I repeat, did not kill those two men—he is already serving a life sentence without the possibility of parole for a 2015 murder that is very different from the double killing that—again—he did not commit with the gun he was convicted of carrying. Those people were not talking about football.